The Aviar Putt & Approach is our most popular disc model and the number one putter in disc golf. It is versatile and is dependable in all conditions. 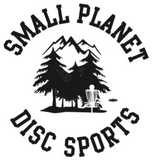 A must have disc for any serious competitorâ? ?s bag. This is the beadless model that provides an excellent grip. It is a straight flier with a predictable finish. available in glow-in-the-dark. Most models are available for custom hot stamping.